This is the time of year that we focus on giving to others. 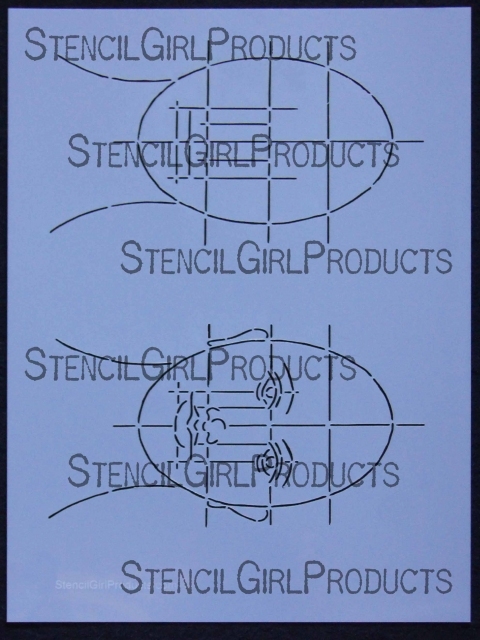 I’m pleased to officially announce several new stencil designs that I have available at Stencilgirl and I’d love to give away one of each new design to some of you! All you have to do is leave a comment on this post and NEXT MONDAY MORNING I’ll be drawing a name for each design! Some of the designs come in both 9 x 12 and 6 x 6 sizes so I’ll be giving away both sizes, 8 in all!! So 8 chances to win, just leave a comment. love the stencils! this is a lovely gift for you to share! have a wonderful weekend! ciao! These stencils are fantastic! The ones to help with drawing faces are genius. Faces are something I really do not feel confident drawing, but would love to get better at doing. These stencils seem like they would help me to do just that! I am also eagerly looking forward to your DVD. Thank you, and Merry Christmas! I just ordered your book and I am also excited to try your stencils!! Would love to win!! 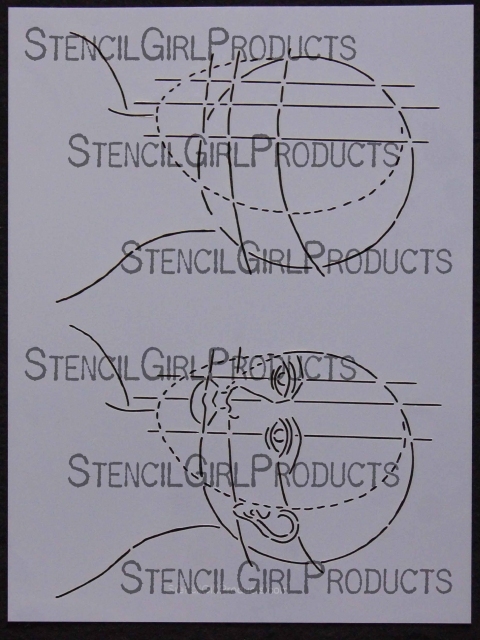 I definitely could use these stencils to help my face sketching! What an awesome learning tool, whoda thought you could use stencils this way…. Love the stencils! You are such an inspiration. These stencils look wonderful to use. I’d love to win one. Oh how fabulous! I thought your stamps were great, but these stencils look amazing! THESE ARE AWESOME I am hoping that birthday luck comes into play and I win one of these sets cause I want them so badly….I am so excited this was an awesome Idea I can’t believe how great these are…oh my gosh you are amazing for coming up with this idea. The face stencils are great! I’d love to use them in my journals. I love the face stencils. What a brilliant idea! I love the new stencils! Excellent for what I’m working on! These are so cool! Congrats on your new line … so exciting!!! Love these new stencils, as always! Thank you for a chance! Wow. Love your faces. I paint faces a lot. thanks for the giveaway and keeping fingers crossed. I love your art! I also enjoy watching your art journal videos on youtube. How fun is this giveaway – I love them all and would love to win one! Would love to have one of your stencils! These are great. They are so unique!! I will keep my fingers crossed! Yes! I would love to win a package! These would help my art so much! Thank you for offering them. Love you…love your workshops…I learned so much from the Strathmore journaling one. Please include my name in your stencil giveaway. Pam… I LOVE these… and I adore the gorgeous faces you created from them in the post above… thank you so much for the chance to win…. As always Pam your work and products are wonderful. These are awesome, Pam! My favorite is the torn notebook paper. Do you realize how many faces have been drawn & painted because of you already? Thanks for sharing your art again. What a delightful opportunity! Thanks for a chance to win these stencils. your work is inspiring. I hadn’t heard of these up till now and am so curious as to how they work. oh wow..what a great chance to win! Thank you Pam for giving this chance to us! I love these new stencils……to think I used to hand cut all my stencils with a knife. Thanks Pam, for the opportunity to win! Wow, I’d love to add these to my collection. I enjoy following your blog and loved your class at VR. Thanks! Pam, I love these stencils, they are so perfect to make journal pages fabulous. I will put out my wishes that I am one of the lucky ones that actually gets one of these great stencils. Thank you too, for offering the 365 DVD early, I am very excited about that coming. Pam you are so generous and so talented… Love the stencils – the faces are wonderful! Your face stencils are fantastic… You are one talented woman! Wow these are fantastic! I know I could use some help when it comes to creating faces. Thanks, Pam, for the opportunity to have these templates. Count me in! I’d love a chance to win these lovely stencils. It would be great to get one… Thanks for this opportunity. This stencils look amazing, Pam. I’ll likely buy a set even if I win one !!!! Thanks for your generosity. Your work has always inspired me, Pam. I would live a chance to win one of your stencils. Oh my goodness! I L O V E love, love (in my mind, I’m singing that in an opera voice) your stencils! If the winner you picked happened to be me! Very cool stencils and very cool of you to share! Really like the torn paper stencil but they are all great! Cool stencils, thanks for sharing! 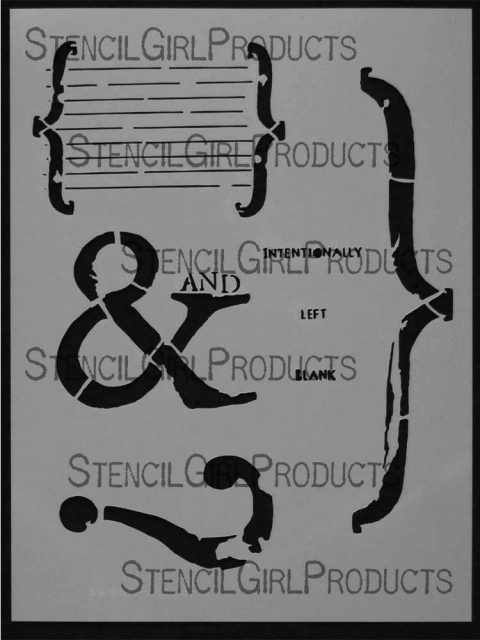 Hi Pam, How generous of you to give us a chance at your art gift stencils. Fabulous. Definately count me in. Merry Christmas! Love your book. Love the faces stencils. How cool is that. Pam, I love your work and such attention to details. The new stencils look exciting. Would LOVE any of these but especially like the ampersand and quotation marks, question mark! Hi, Pam! I’m new to this art form and so excited to start my first art journal! These wonderful stencils would be such a gift! Thanks for your inspiration! Pam–These are very cool. I love the torn paper and the ampersand. The faces are cool, too. Oh well, I hope I win, so my bill to Mary Beth will be smaller . 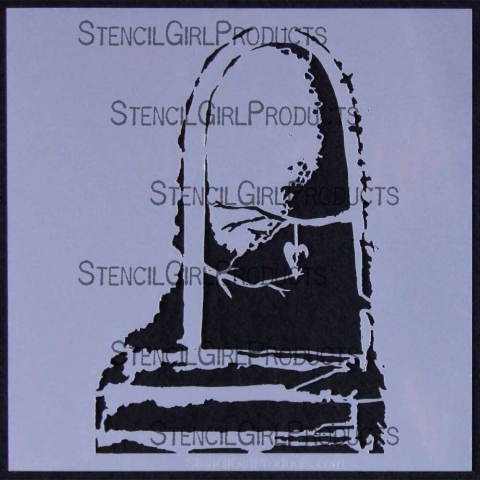 . .
Love Stencil Girl Stencils and your new ones are fabulous. I have your face stamps but can totally see a use for the stencils too! Thanks for the opportunity Pam. Pick me! I love all of these! Love the lined paper stencil and I can think of a multitude of ways to use it. I am still drawing faces thanks to the classes I have taken from you. Your generosity is wonderful. Great new stencils Pam. Thank you for the opportunity to win these beauties! Wow, this is exciting…fingers crossed. I especially love the punctuation designs. absoultely awesome new stencils! i’ve got to tell my students about them. Great stencils…a step above the circles and stars! Love them. Groovy stencils, especially the one with the tree branches…but they are all VERY cool!!! I love the stencils, especially your face ones! Love your work! Thank you for the giveaway! Great stencils, I would love to win one of these. How generous and such lovely stencils! :). I’d love to win one of the stencils, they are all great! Thanks for this opportunity! Hi Pam, love the stencils, I will keep my fingers crossed that I am one of the lucky ones. Pam, these are great looking stencils. LOVE the window ledger, especially:) Happy Holidays to you and yours. Oooh they are so neat! Hope you are having a lovely day! Please pick me! These stencils are so inspiring, Thanx for a chance at such a generous give~away, they really are wonderful. I’d love to be a winner of these stencils and if I’m not, I sure hope Santa catches on how much I’d like to own a few of these!! I would love to win one of the nice stencils. It would be so nice to be one of the stencil winners. I just discouverd art journaling and mixed media, and I just love it. Great stencils Pam, thanks for the chance to win. Beautiful! Stencils! Everyone have a very Merry Artful Christmas and a prosperous New Year! VERY cool! AND they provide much inspiration and room for taking off on our own! Thank you! These look wonderful Pam! Would love to play with them. We would all like to win of course….so good luck to us all. And a very merry Christmas. Great stencils. Thanks for the opportunity! Great stencils — thanks for the opportunity! Great ideas! I would be really happy, if one of the stencil gifts will find its Christmas-way to Germany: directly into my studio! Awesome stencils to go with your other great stencils. Oh my goodness – these are awesome! thank you for sharing your beautiful self and art with others! Great stencils. Thanks for a chance to win. Love the head stencils. If you had all three you could do a wild head turning pic. They are awesome stencils. I would squeal to win anyone of them! Merry Christmas to you and thanks for all the inspiration you give us all year! Since I had to pick one I would pick the torn paper..so so cool and so so orginal! Just think of using it with gesso or molding paste! deviine!!!! I always love to see what you are coming up with next….and again….these new designs are really cool…..I wanna win SO bad!!!!! Especially the half turned face….Pleeeeeeez…let it be ME! I would certainly love to receive one of your wonderful stencils, but if not I take this oppurtunity to wish you and yours a safe and happy Christmas. Love the stencils and thanks for the chance to win one of them. I have followed you from your beginnings and you have come along way. You are a busy girl and you inspire me every day. I like these they’re different and that is always a good thing. I love to work with stencils especially when I’m having trouble starting a project I don’t exactly know where it’s going to go. Thanks for the opportunity to win, I can’t wait to see what comes of it. I find both stencils inspiring and unusual. They reflect your art. I think using these will make it easier to start any page. Really like the tattered but not in a distracting way. I love your stencils; congrats! Having done your Still Pursuing Portraits last summer, would love to win one of faces. love all of them… I really hope I can win :o) Thank you-thank you! What wonderful tools that allows focus on the expression rather than placement! I love them! Thanks. Great idea for sketching heads, they would be so helpful while art journaling! Good luck with your new line of stencils! They are really nice. Thank you for the opportunity. Such beautiful art, as always. Email sent. I can’t believe this! Thank you so much! Looks like some fun new products. Have to love stencils! Thanks for a chance to win. I took one of your classes at Art Unraveled last summer and loved what you taught. I purchased some of your products and enjoy using them as well. Haven’t bought any of your stencils yet, but from what I see they look great! Keep supplying us with new and innovative products. Pam, I’ve been bumping around online for a year, following Effy Wild and discovering. I have identified you as an artist that I would love to learn from…..all of your online classes appear to be full. Please let me know when an opportunity becomes available. Your work reminds me of an exhibit of Picasso’s sketchbooks. It was a chronological exhibit of his sketching. I was stuck by his draughtmanship having no idea of his beginings. Your work seems rooted similarily and I like where it goes. Don’t know if this makes sense except that i admire your work. ces pochoirs sont tres originaux et je tente ma chance! 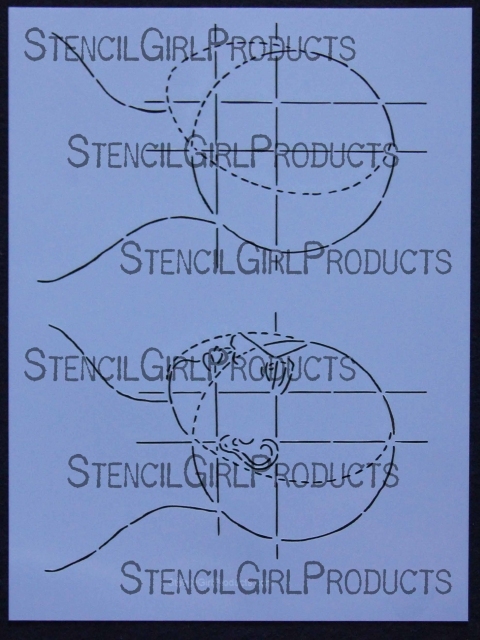 Thanks Pam and thanks to Stencil Girl…these are great stencils and I would love to win any one of them! Hi, Pam: I love your art and would love a chance to win one of your stencils! Blessings to you. You area sweetie Pam, Merry Christmas!!! I especially love the punctuation, but they all look like fun. Thanks for the giveaway! Thank you for sharing your creativity. These stencils would jumpstart many journal pages. You know I love your work and I love your new stencils! You and that sweet Stencil Girl are the best! I so enjoy seeing you bring your ideas to fruition! Thanks for the chance to win one of these stencils. 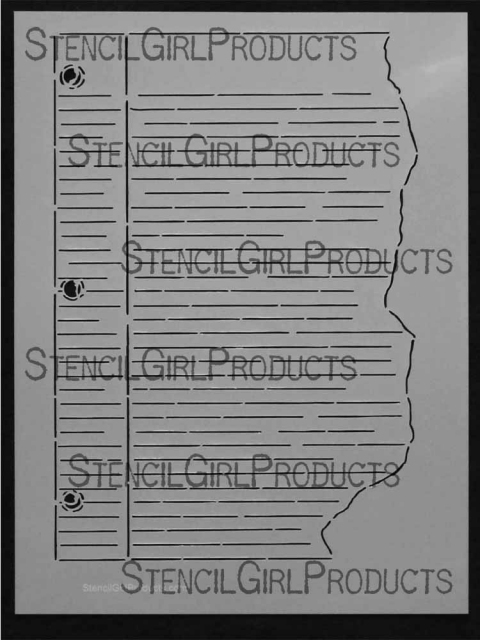 Just starting to really experiment with stencils & I would love any of these Stencil Girl Products! I’D LOVE to have one of yor stencils, so hope I win! They look like they would give such a cool look to mixed media work! These are awesome – I would love to see what you do with the face stencils. All of your stencils have such a personal feeling! You are so generous, thank you for the chance to win. These stamps are just so cool! I want to wish you and your family a very Merry Christmas! This is a great giveaway! Thanks! Sorry to post twice didn’t see my 1st post! Thanks! I forgot about those faces! I know I was looking at them a while ago. Please count me in. Thanks for the chance!! I love me an ampersand! Pam, it SO generous of you to give away some of your lovely designs. I would love to use them! Pam, Count me in — And, I love your art!! What a wonderful gesture. Thank you. Those are some wonderful stencils. The face ones are so clever! Hey Pam, wishing you and your family a very merry Christmas! This is a great give away! You know how much I love your work! Just starting art journalling and find your stencils so inspiring. I would be very happy to find a stencil a new home! Wow. These are wonderful and so different from a lot of the other stencils on the market. Fabulous! My drawing skills are pretty sketchy but stencils I could do! What a wonderful set of stencils, Pam! Especially love the portrait stencils. Brilliant idea! Wow! You are such a wonderful artist. You are my inspiration! I love all about this blog. I was very sad a few days ago and you art just keep me up and with hope. I want to paint, I want to create! I want to draw! Thanks for your generosity, no matter who wins, it’s great to share with others. How generous of you. Love following your blog! These are all so cool. I especially like the “signs” and the torn page! I especially love the torn journal page! Hey, I want to see you do some pages with your face stencils. I love the concept, and want to see how you work with them. Stencils?!?! I didnt even know you had a line of stencils!! Id love to win one of these!! Love the torn paper. Great for journaling. Yayers!! I love love love the faces…have had my eye on those! Wow! These are great! I’d love to win! Thanks so much!